While the uproar over the probable murder of Jamal Khashoggi in the Saudi consulate in Turkey continues, so does the almost-forgotten war in Yemen. Since March 2015, Saudi Arabia led an alliance in a relentless bombarding campaign against the Houthi rebels. Over 10,000 people have been killed, according to conservative estimates. But the U.N. warns now that 13 million people are at risk of starvation because the bombardment has disrupted infrastructure and food shipments. The Saudi-led coalition is very short on manpower, but it is armed with the most modern weaponry in the world, provided by the U.S., the U.K., and surprisingly also by Germany. Why is it surprising that Germany is providing arms to Saudi Arabia? 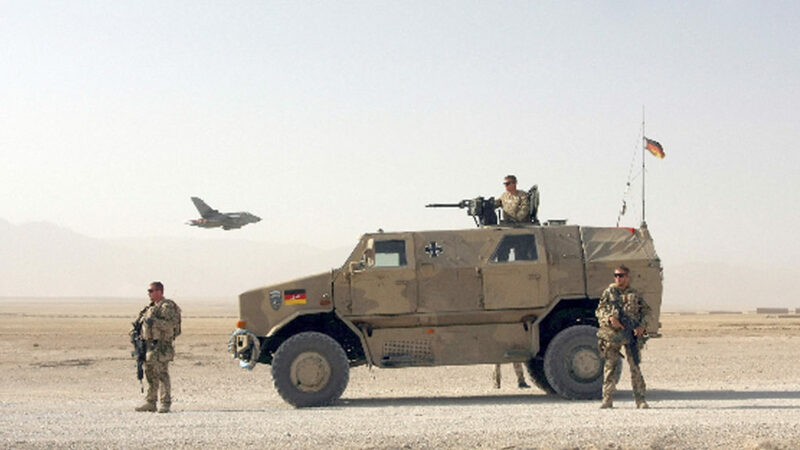 Because Germany, the world’s fourth-largest arms exporter, has a coalition agreement that reaffirms German law, which forbids the sale of arms to countries engaged in war. Earlier this month, an activist confronted Germany’s Minister of Economic Affairs and Energy Peter Altmaier from the Christian Democratic Union, Germany’s largest party, asking him in a public event why Germany continues to sell arms to Saudi Arabia. This was his response. PETER ALTMAIER: You represent in your opinion. so I believe, a very large majority of the public. And nevertheless, one must always ask, what does one achieve with certain advancement in human rights? We wanted with our general foreign policy and with our policy of weapons export, which is more restricted in Germany than any other country, an important component that we wanted to promote peace, stability, and human rights. The problem I see is that the international market, unfortunately, is that there is no shortage of products in the international weapons market, but rather too many. I don’t know of any country that, in response to Germany saying, ‘We won’t export to you anymore,’ will therefore not get a hold of these weapons. There are other countries in the European Union, in the U.S., China, and Russia, and elsewhere, who will fill the gap. Despite this, we have a very restrictive policy. We said that we will not export weapons to any country which is engaged in a war with another country. GREG WILPERT: Joining me now to discuss Germany’s arms exports to Saudi Arabia is Jurgen Grasslin. Jurgen is a prominent peace activist in Germany who has opposed the German arms industry through decades of research, books, and pressure on arms companies. Thanks for joining us today, Jurgen. GREG WILPERT: What kind of weapons is Germany actually selling to Saudi Arabia, and for how much? How big are the arms deals? JURGEN GRASSLIN: There’s a long tradition of German exports. In the past we have delivered military vehicles. We have given a license for small arms from Heckler and Koch. It’s the assault rifle G36 that is produced by MIC, the state company south of [Riet]. We are delivering with Great Britain together 72 Eurofighters, combat airplanes, since years now. And at that moment Germany for Airbus is building a 5,000-kilometre long border security fence all around Saudi Arabia. And your question is to the topical arms exports, means we are delivering as Germany, the German government is delivering eight patrol vessels from the [Liusan] shipyard, it’s at the Baltic Sea, to Saudi Arabia for the blockade, the embargo around Yemen, the blockade around Yemen, and topical radar systems. They are delivered by a decision of the Federal Security Council, which is a special German institution led by the Chancellor Merkel and eight ministers. We are delivering now in the future, in the near future, rate assistance to Saudi Arabia. Altogether the year 2017, it has been 254 million euros in worth. Means since years it’s billions in worth. But topicals 254 million. GREG WILPERT: OK. And we heard Minister Peter Altmaier justify the selling of arms to Saudi Arabia. And in the same breath he said that, he also proudly announced Germany doesn’t sell weapons to countries engaged in war. So we should also probably add that Germany sends weapons to Israel, the UAE, although it has allegedly stopped arms exports to Turkey. Now, how is it possible? Is this coalition agreement, and the German law, actually, just a recommendation? JURGEN GRASSLIN: Yeah, it’s a very interesting question. We have the German Constitution. And Article 26 says the Government is responsible for arms exports. We have two additional laws. It’s the World Weapons Control Act and the Foreign Trade Law, means [speaking German]. And they are allowing weapons exports to NATO partners, to NATO-associated partners, and to states of the European Union. It’s not allowed to deliver weapons to so-called third countries, means other countries not in NATO and not in the EU. And there’s one exception. If there is German interest related, we can, as an exception, deliver weapons to, for example Egypt, or United Arab Emirates, or to Saudi Arabia, as an exception. But it’s not allowed to deliver to third countries, other countries. And the range is about 54 percent of the German weapons are going to so-called third countries. So there’s a total breaking of German law. And the political level you called, you talk about, is we have political principles from the year 2000. And they are not allowing weapons exports to countries which are in war, which are taking part in human rights abuses. So what is happening now and what happens in the last year is a permanent breaking of German law. And if it is possible, I would say, I would have an investigation in front of courts against the federal government, because it’s permanent breaking of law. And what you can say is if they break law- and they break law, really- by using, by exporting weapons to Saudi Arabia for example, to a state which is participating in human rights abuses, and in a coalition of nine countries is an aggressor against Yemen, what they are doing by the German government is accessory to murder, because we are giving- us, German government- we are giving weapons to a country in war. 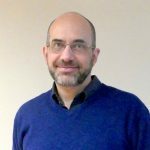 GREG WILPERT: So according to another German law, large German companies or corporations are not just answerable to stockholders, but also to the public and to their employees. What about the victims of weapons that German companies sell to countries engaged in war? Do the victims have a voice in discussions about whom companies can sell their weapons to? JURGEN GRASSLIN: In Germany we founded the global Let’s Stop the Arms Trade. And we are investigating now how many victims that result from, victims of the leveling by German- authorised by German government to deliver weapons to countries which are participating in human rights abuses, and in wars. So at that time, we can only estimate. For example, the company Heckler and Koch, which is in Europe leading in small arms exports, has delivered in the last decade so many weapons that we estimates the victims killed by Heckler and Koch weapons are more than 2 million people. And we estimate people which are injured and traumatized; about 6 or 7 millions, only by Heckler and Koch weapons. And you see, as you told at the beginning of the interview, Germany is number four by delivering major arms. Germany is number four by delivering small arms. So in the statistics of SIPRI, on weapons and in the statistics of the Geneva Institute looking for small arms, and that you can say is that Heckler and Koch is one of the companies. We have a lot more companies. So there are millions of victims of German weapons exports in crisis centers all around the world. GREG WILPERT: So in most member countries of NATO there is not much of a debate about staying in NATO or leaving it. Germany is actually an exception, because parties on the left and on the right are calling for Germany to leave NATO. The Green Party, though, for example, which you once belonged to a long time ago, said that it is principally against the arms exports, but is in favor of staying in NATO. However, selling arms is a requirement for NATO membership. So what do you think of the Green Party’s position on all of this? After all, Minister Altmaier said that there is no shortage of weapons produced by NATO countries. JURGEN GRASSLIN: And that’s not a strong movement in Germany to leave NATO. It’s only a discussion in the peace movement. And I think most of the peace organizations in Germany would say please leave, or you have to leave NATO. We are supported by the Left Party, but only by the Left Party. The Green Party always says, OK, we are against arms exports; especially to countries like Saudi Arabia, or Egypt, or Algeria, or United Arab Emirates. Sometimes to Turkey, too. But the Green Party is not clear in the position to leave NATO. I think that most of the Green Party members have the position to stay in NATO, and that’s not good. GREG WILPERT: OK. Well, we’re going to leave it there for now. I was speaking to Jurgen Grasslin, a prominent German peace activist and arms industry researcher. Thanks again, Jurgen, for having joined us today. JURGEN GRASSLIN: Yeah, thank you very much, too.